It seems as though poker is growing in popularity with every passing day. There are so many popular variants these days, it is often hard to know the subtle differences and nuances between each variation. Five Card Stud, Three Card Poker, Texas Hold ‘Em, Crazy Pineapple, Caribbean Stud: it’s hard to know what you are playing at times. Omaha hi-lo poker is another poker off-shoot named after the American city. Omaha, Texas, Kansas City and Cincinnati all have a poker variant named after them. Let’s just hope there is never a Detroit Poker, the only game to guarantee you go bankrupt every time. Omaha hi-lo (also know as Omaha/8) is an exciting and challenging community card poker variant that offers two possible wins per hand: a high hand and a low hand. Omaha is similar to Texas Hold’em in that there are five community cards, five rounds of betting and each full round begins with a small and a big blind. That, however, is where the similarities end. Continuing from the Omaha pot limit page (which details exactly how to play Omaha poker), we will now detail the slight variant that is hi-lo. After each player has been dealt four hole cards, a round of betting commences thanks to the small and big blinds before the flop is dealt. Another round of betting occurs before the turn is dealt. Another round of betting and then the river is dealt before a final round of betting. Each player must make their best poker hand from two of their four hole cards and three of the community cards. The person with the highest hand wins. However the pot may be split if a player has a “low” hand. To qualify you must be able to make a hand of two hole cards and three community cards that are no greater than eight. For example a hand of two, four, five, six and eight would be eligible for the split pot if it were the lowest hand at the table. It is even possible for the same player to win the hi and lo pots. There does not have to be a split pot every hand though. If no one qualifies with a low hand then the high hand winner takes the entire pot. These days you will be hard pressed finding an Omaha Hi Lo game at a conventional, bricks and mortar casino. For some reason finding a bonadife Omaha Hi Lo table is rarer than a duck that craps diamonds. So we suggest giving online a try. The online Poker market is getting to be bigger than Ben Hur and with so many options out there it is hard to know who is reliable, safe and trustworthy. Here at AustralianCardGames.com.au we endeavour to make life a little easier by recommending the top three sites for Omaha Hi-Lo and your general poker fetish. 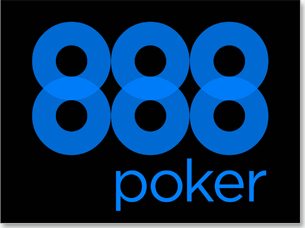 To get started on these sites, all you have to do is download their software (or play instantly via the Web at 888 Poker) and sign up. When you sign up with each of these sites they offer a special and unique welcome bonus. Depositing and withdrawing funds is safe, simple and easy to do through each site with methods such as Visa and MasterCard, debit cards, Neteller and PayPal. Check each site for their minimum and maximum deposit and withdrawal amounts, fees and options. Each of these online poker rooms ensures the fairness of their games through regularly checked and maintained Random Number Generators. All three sites are available to play for free or on your desktop, laptop, tablet or smartphone. With each site boasting apps for Android, and 888 Poker boasting an iOS Web app, it makes playing a hand of poker on the go easier than ever. Each of the above sites offers three unique playing options for Omaha Hi Lo: Cash Games, Tournaments and Sit ‘n’ Go tables. Cash Table’s have blinds ranging from $0.01 / $0.02 up to $500 / $1,000, which clearly caters to every punter’s betting range. Tournaments require an entry fee and a buy-in. Once you have registered and paid up everyone is given the same amount and you play until you are the last person standing at the table, then you move on to the next round of the tournament. It is essentially a round robin and last person standing wins the kitty. Sit ‘n’ Go tables are basically mini tournaments with buy-ins ranging from $0.01 to $5,000. You sit at a table and wait for the it to fill up with other player and then start. Last man standing wins the kitty. 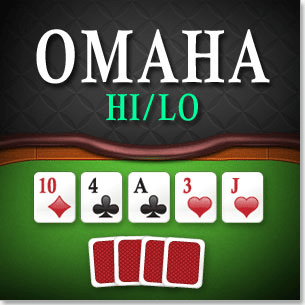 If you are a bit tired of Texas Hold’em and looking for something a bit different, give Omaha Hi Lo a try. With two possible chances of winning per hand it is a great and refreshing option. Good Luck.